Safety helmet for work at height, industrial activities and building construction. 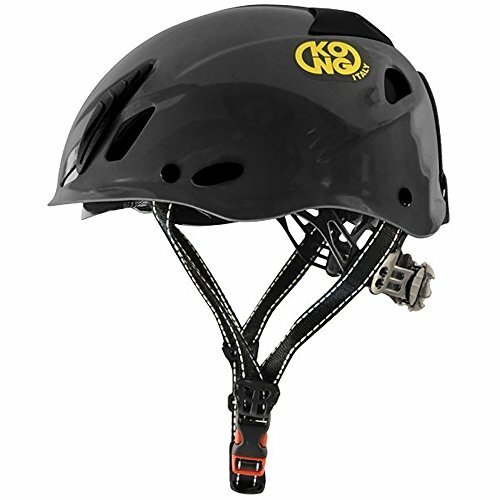 Lightweight helmet, comfortable and well ventilated with wheel adjustment system. Chinstrap designed to open in the event of suspension and prevent choking: it opens between 15 and 25 daN (conform to CE EN 397 standard). Size adjustment wheel easily handable even with gloves on. Shell with ventilation holes. Clips for mounting headlamps. Pre-drilled holes for the installation of the visor and ear muffs and radio. Internal webbing suspension system with removable and washable padding. Universal size (52-63 cm). High quality product, completely made in Italy! If you have any questions about this product by KONG USA, contact us by completing and submitting the form below. If you are looking for a specif part number, please include it with your message.